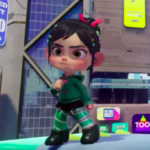 Next week is going to be a big one for 1980s arcade game villain Wreck-It Ralph and his diminutive go-kart driver pal Vanellope Von Schweetz. 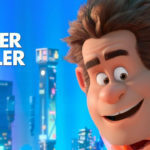 Not only is their new movie Ralph Breaks the Internet arriving in theaters from Walt Disney Animation Studios, but they’re also getting an all-new “hyper-reality” experience (called Ralph Breaks VR) at The VOID, a franchise of high-tech experience centers at Disneyland Resort, Walt Disney World, and numerous other locations around the world. 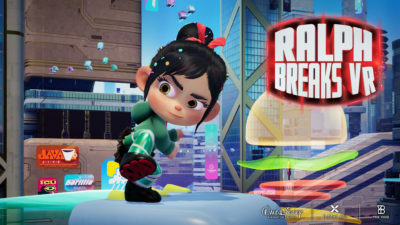 Ralph Breaks VR transforms four players at a time into “Netizens” (AKA human-avatar citizens of the internet) and places them into the semi-capable hands of Ralph and Vanellope as they seek out their favorite online video game. Participants will see, hear, feel, and smell the world around them, much like in previous must-be-seen-to-be-believed VOID experiences Ghostbusters: Dimension and Star Wars: Secrets of the Empire. 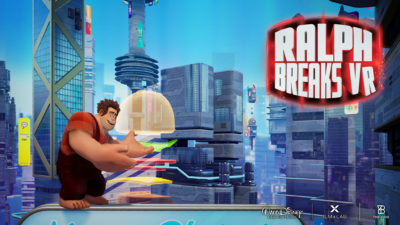 This week I had the wonderful opportunity to try out Ralph Breaks VR— it’s fantastically fun and just as hilarious as both of Disney’s Ralph movies– and then sit down for a roundtable discussion with five of the creative minds working with The VOID and Lucasfilm’s immersive entertainment division ILMxLAB to bring our friends from Litwak’s Arcade to hyper-reality. 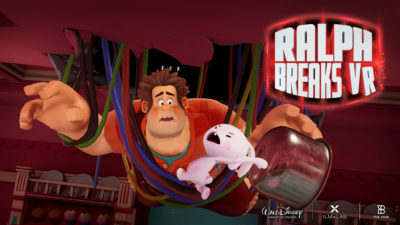 Q: Ralph Breaks VR is set in the internet, which ties into the sequel Ralph Breaks the Internet, but it also contains elements that hearken back to the 80s video game roots of the first Wreck-It Ralph movie. How did you develop the idea of bringing those two worlds together? Shereif Fattouh, ILMxLAB Producer: It’s important, just like any kind of sequel, that it’s in the world. You want to just enjoy it. Maybe you haven’t seen the first film. Maybe you haven’t seen the second, but it’s its own unique thing as an experience. Everybody can enjoy it and it’s understandable and relatable on its own. 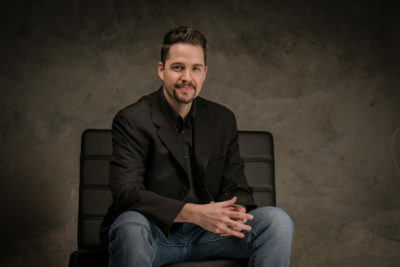 Curtis Hickman, The VOID Co-Founder: It was very important, when we first started talking about this, that we bring a lot of the nostalgia and some of the heart of the first film into it– that retro vibe you would get from those old video games. From a very early place, we pushed to make that part of the experience. Curtis Hickman: I’m glad we did, because it looks amazing. Ribon: It looks great. But yeah, we wanted to play [in the arcade world as well]. Jose Perez, ILMxLAB Lead Experience Designer: And just the idea of being in a vector-based, old-school world was too cool not to do. If you look there’s actually some X-Wings and TIE Fighters from the 1980s [Star Wars game]. We nerded out on it, for sure. There’s just something so funny about this idea of, ‘We’re gonna go play the greatest video game ever. It’s gonna be amazing!’ And you get there and it’s this 1980s vector-based thing. 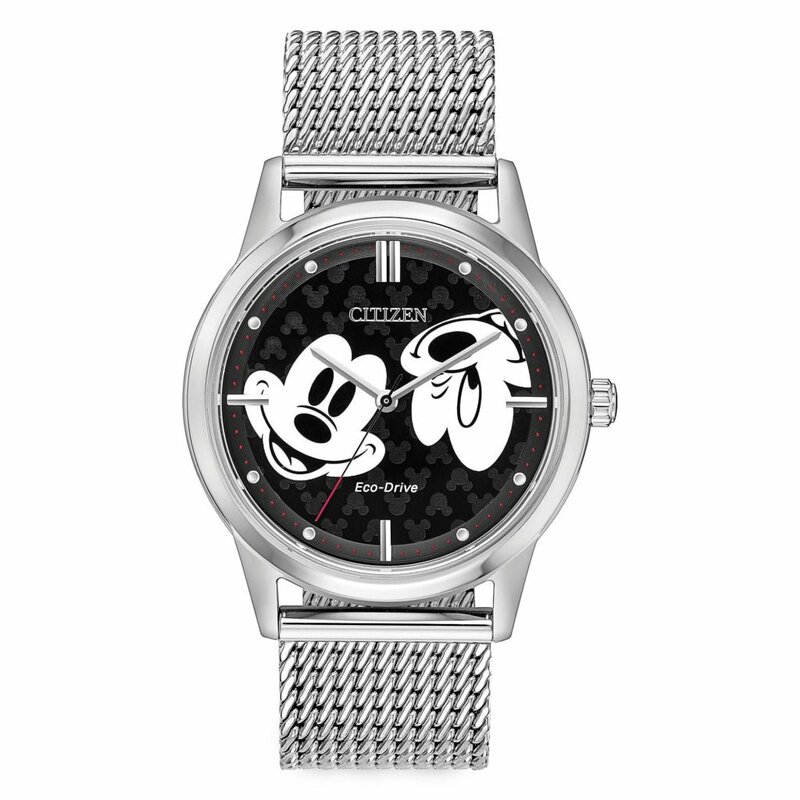 Curtis Hickman: Yeah, it parallels the beautiful irony of all this amazing technology we have, and then you get in there to do it, and sure enough, it’s this vector world, which is just totally Ralph. Q: Ralph Breaks VR adds an in-game scoring system that previous VOID experiences didn’t have on launch. What went into the decision to implement that feature? 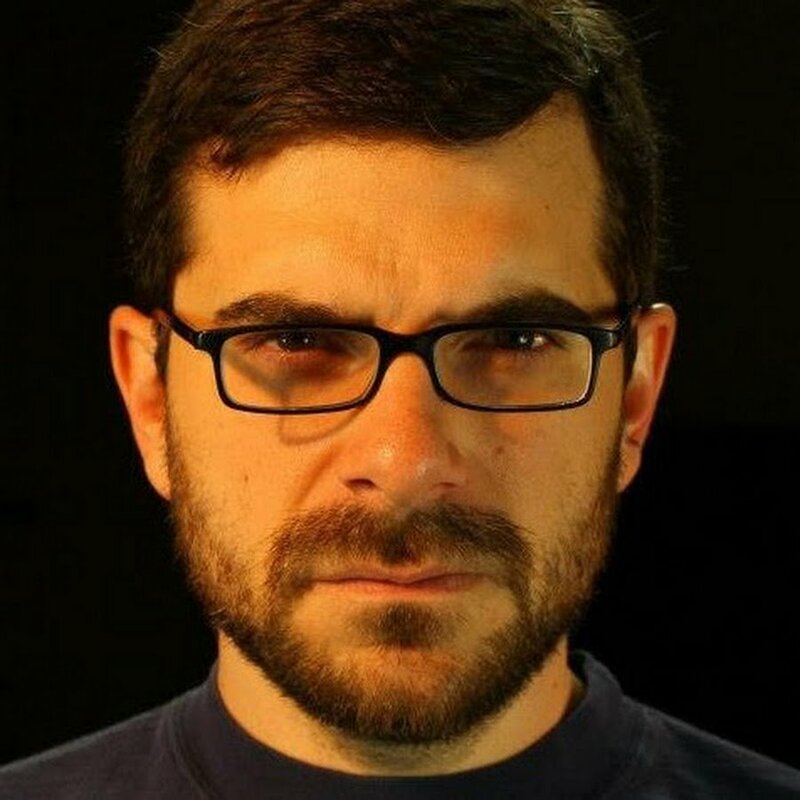 Perez III: With this one, I think it’s one of the few situations where you can get away with the point system because it fits into the fiction of the experience. We talked a lot about whether this was something we wanted to do, and it just made sense for this one. Curtis Hickman: In general, The Void has focused on making experiences and living in the stories. We don’t like to see points get in the way of that, but try [to have them] support it. When you leave Secrets of the Empire now, you get an email that talks about your bounty and [it gives] you a way to compare with your friends without interrupting the fiction. And [with Ralph Breaks VR], it was just an amazing opportunity, because it’s part of the fiction. 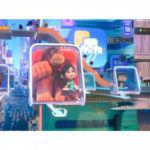 Tracy Hickman, Director of Story: When you go through with a group of people and they all know each other, and you have that friendly competition that picks up, it adds to the themes of the [Wreck-It Ralph] films. 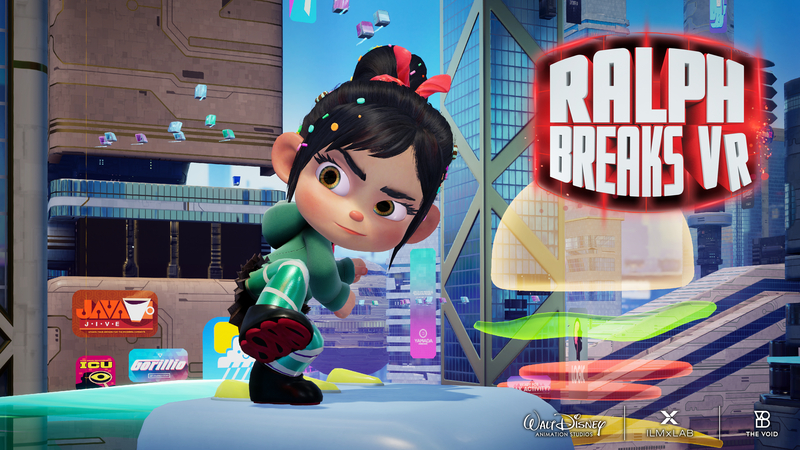 Q: What was the process like creating Ralph Breaks VR during the production process of Ralph Breaks the Internet, and how did those two projects intermingle with each other? Tracy Hickman: Pam was a writer on the film, so to have her be here to do the script for this experience meant that we had a very nice, close integration with the film. But then Pam’s a very funny lady anyway, and brought much of the heart from the film into the experience as well. Perez: It’s a huge collaboration. We all talked about the story, Pam would write the script, and then we would sit down [and] go through the experience. Tracy would come in, he had this one cool character that really tied it together, which was this security thing. 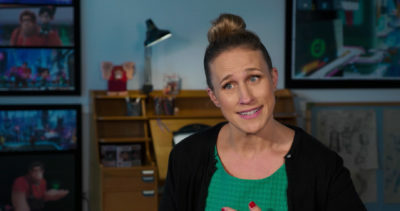 You write that first pass of the script and you have an idea for what the story is, but once you get in there and you see how people go through the experience, you have to move it a little bit to make sure that they’re getting the story they’re expecting. 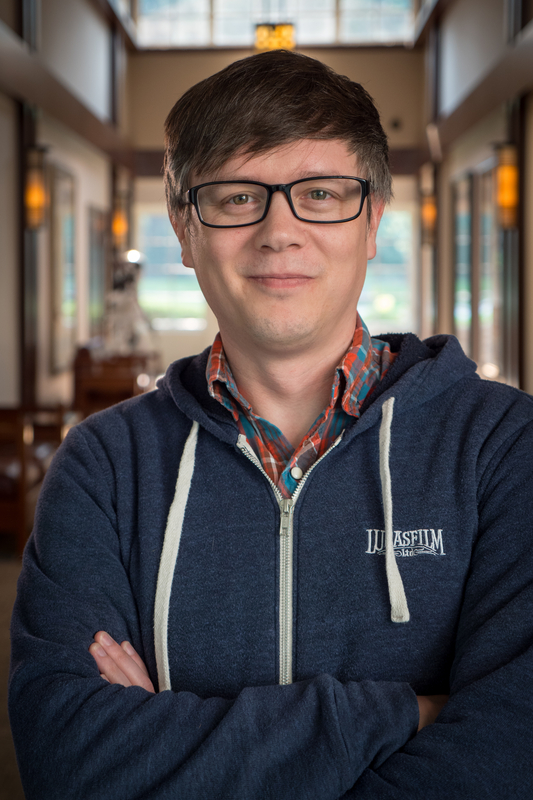 Tracy Hickman: We literally went to a mock-up of our stage at ILMxLAB, and together we all walked that to make sure that the narrative flowed the way people would move through it. Fattouh: What’s interesting, experientially, when you think about hyper-reality in general, [is] some of the tools you [use to] tell the story that you want [are] so different and unique, especially with The VOID. So you might want to elicit this particular emotion or this particular narrative beat, but it can’t just be in the dialogue. It’s also part of what [the player is] doing, and how that is playing into the emotion of that moment. It’s a fun challenge, but sometimes it’s not a very straightforward, easy answer. Perez: From a design perspective, it’s so weird. It’s so different. One of the hot topics was, ‘Should we let people smell Ralph? And what does he smell like?’ And I think the consensus was ham. [laughs] I don’t think we wanted to put a ham smell whipping through [the experience]. Ribon: I think [Ralph Breaks the Internet] directors Rich [Moore] and Phil [Johnston] would still like the smell. 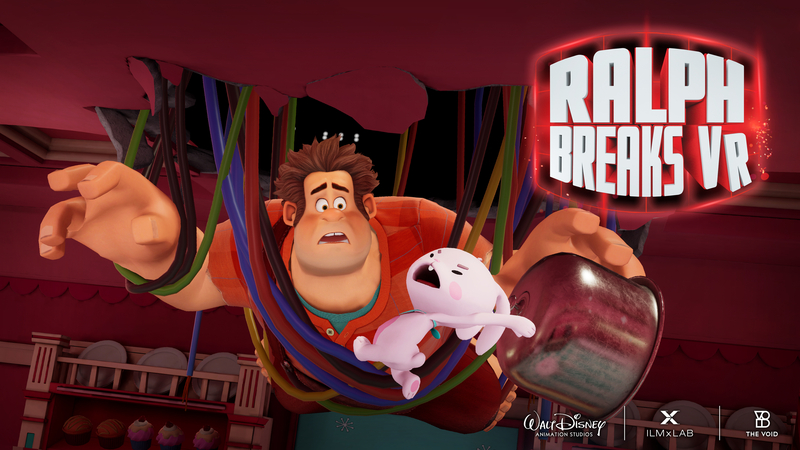 Q: The Ghostbusters and Star WarsVOID experiences both had elements of humor, but Ralph Breaks VR is without a doubt the funniest one yet. How is implementing comedy different in this medium versus a feature film? Ribon: It’s very interesting that someone could miss your punchline because they’re busy touching a wall. [laughs] And I get it, I want to touch the wall too! So [we’re] making sure that there’s something funny to see everywhere, or directing [the player’s] attention to make you laugh. In terms of dialogue, you know they’re not going to hear all your jokes. It’s like that in the movie, too. That’s what repeated viewings are for, hopefully, but [the VR experience] was such a fun place to put jokes we didn’t get to use [in the movie]. Curtis Hickman: One thing we really focused on, and that Pam did a wonderful job [implementing], is the ‘Cocktail Party Effect’ that Walt Disney used to talk about. His Imagineers would be like, ‘There’s too much going on in this ride.’ And he’s like, ‘No no no, that’s the point. It’s like going through a cocktail party: you hear pieces of this conversation, and this conversation. Then you come back again and you hear pieces of a different conversation.’ So the experience changes [each time] you go through it, even though the main storyline is the same. You catch different things and different jokes when you go through [again], and we love that. Tracy Hickman: Hyper-reality is a new way of experiencing story. And so, for all of us, it’s an exciting time to be able to pioneer this form of story. It’s new for all of us, and that’s what makes it exciting. 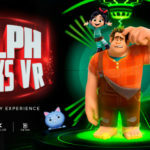 Ralph Breaks VR will be available at all North American VOID Experience Centers starting Wednesday, November 21. For more information and advance ticket sales resources, be sure to visit The VOID’s official website. Disney’s Ralph Breaks the Internet will be released into theaters nationwide on the same day.